I’m a big believer in funding retirement with multiple income streams. Your retirement nest egg will last much longer if it’s swaddled in money from a part-time job, rental properties, and Social Security. Well, maybe. But probably not. Social Security is a wildly popular and important social program. Among retired Social Security beneficiaries, 50% of married couples and 71% of unmarried persons receive 50% or more of their income from Social Security, according to the Social Security Administration. Roughly 23% of retired married couples and about 43% of unmarried persons rely on Social Security for 90% or more of their income. Even when we factor in people who have other sources of retirement income, Social Security looms large. The benefit provides about 33% of the income received by America’s retirees. Given those figures, I find it hard to believe Washington will ever allow the program to go bust. But, Social Security does face some serious funding issues. So, here’s what I tell my clients: If you are 50-plus, you will very likely receive Social Security benefits on par with today’s payments. If you are a 20-something, it’s entirely possible you will receive a scaled-back monthly payment. You may also have to wait well beyond the current age of 62 to become eligible for benefits. Now that we’ve established that Social Security will most likely be a revenue stream for you let’s talk about maximizing its flow. As you probably know, the later you start taking benefits, the larger your monthly payment. But there steps you can take during your career to boost and protect your Social Security payments. – Work for 35 years. Your monthly benefit will be based on your 35 highest-earning years. If you retire after 32 years, the Social Security Administration will factor in three goose eggs. That will seriously depress your final earnings number. When I was a kid, one of my relatives worked part-time at a gas station for a year to make up for the time he worked a federal government job and was not eligible to contribute to Social Security. It’s that important. – Make more money. Most of us earn our highest salaries in our later years. So, by working a couple more years at, say, $72,000, you will bump out two years when you made considerably less. If you can earn overtime, you might consider racking up lots of golden time in the final few years of your career to goose the Social Security equation. – Time your divorce. If you are mulling divorce after eight or nine years, consider waiting until the 10-year mark. Divorcees can sometimes claim benefits based on their ex-spouse’s earnings – even if the ex is remarried. While this is all good, important stuff, the most critical decisions regarding Social Security center on when you start taking benefits. Again, the longer you wait – between ages 62 and 70 – the higher your monthly benefit. If you start at 62, you’ll get just 70% or 75% of your benefit, depending on your full retirement age. Wait until age 70 and that benefit soars to as much as 132%. There is no “right” answer to this question of when to start taking Social Security. Every situation is different. If you are in pressing need of income at the outset of retirement, by all means, take that benefit on Day One. Similarly, if you face a severe medical condition that may shorten your retirement, consider starting your Social Security early. Conversely, if you have plenty of income, it might be advisable to delay taking your benefits. These charts will help you navigate the when-and-how-much of Social Security benefits. 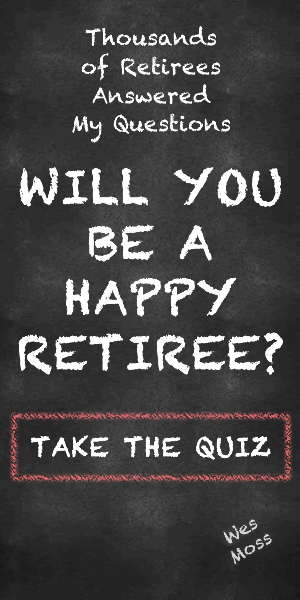 Step one is to determine your Full Retirement Age. Spoiler: it’s probably not 65. The government in recent years has slowly and slightly raised the Full Retirement Age to bolster Social Security’s finances. Once you’ve determined your Full Retirement Age, use this chart to see how much you’ll receive at various Social Security start times. The reality is all right there in columns and rows. This chart can’t make your decision for you, but you can’t make an informed decision without it.